If you are planning for perennial crops, check the map below to find the hardiness zone for your area. 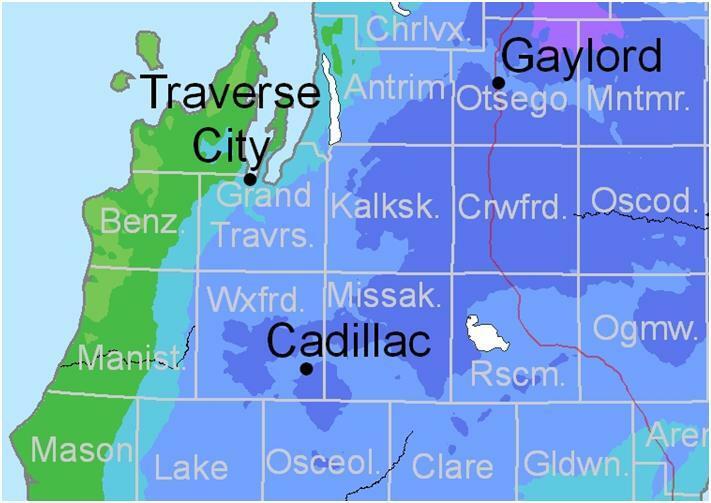 The map is the recently updated Plant Hardiness Zone Map for Michigan. Click on this link to see a larger, interactive version for the entire state of Michigan. After gardening and farming for more than 20 years in Wexford County, Theresa Williams has gained experience as to what to plant when. Here are the seed starting dates and outdoor planting dates she recommends for the most popular crops in our area. 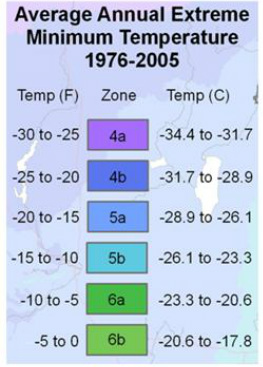 Be forewarned that these are averages – Wexford County in the last 10 years has experienced frost as late as July 2, and as early as August 18! If you can add one layer of protection, such as floating row cover or a cut-off milk jug, these dates can be moved back two weeks. Those crops with ** after them can be sown at weekly or bi-weekly intervals for continued harvests. These crops can all handle temperatures as low as 22°F without protection. These crops can handle a frost, although if temperatures fall below 25°F, they would benefit from some protection. The seeds listed are for fall harvest. The plants listed all do best when the temperatures are warm and have settled. If you would like to start your own seedlings, the dates listed below will work well for Wexford County. All of the dates listed assume that the seedlings will be planted out in the open. If you can provide a layer of shelter, such as floating row cover or a cut-off milk jug, you can move these dates up two weeks.